The next generation of rare disease advocates need a little support in getting their voices heard as part of the Rare Youth Project. Rare Revolution Magazine is looking for industry partners to put their money where their mouths are when it comes to empowering young people living with long-term conditions. 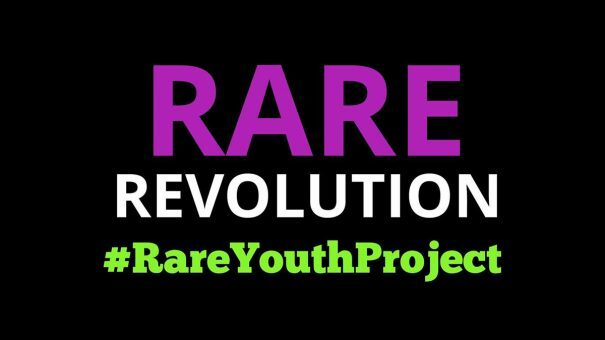 Last year, the team behind the magazine, which aims to give a voice to the rare disease community, launched the Rare Youth Project. It saw a group of aspiring journalists, aged between eight and 22 and living with a rare disease, take on a year-long programme of mentorship and training that culminated in an 80-page special edition of the magazine. It was such a success that the team now want to make it an annual initiative, with the alumni of each previous edition taking on a leading role with the next new intake. And they are calling on the pharmaceutical industry to help. Of the final 10-person editorial panel, eight had a rare disease and two were young carers – one for a parent and the other for a sibling. “They planned the edition, did all the interviews, wrote all the content and worked with me on the lay out. They were incredible,” said Nicola, who also runs the rare disease charity Teddington Trust with Rare Revolution CEO and business development manager, Rebecca Stewart. The special digital edition, published in March, features interviews with Scotland’s first minister, Nicola Sturgeon and tennis coach, Strictly star and mum to Andy, Judy Murray among others. After a glittering launch party, it was uploaded onto all 415 bedside interactive screens at Great Ormand Street Hospital and has been well-received by both the rare disease and wider community. Said Nicola: “It’s been really fantastic, and we are so proud of what the young people have achieved. In many cases, these were young people who were not able to take part in school work experience schemes because of health and safety issues. Since publication, the team at Rare Revolution, which has a readership of more than 16,000, have been approached by dozens of would-be new recruits for the next youth project. In order to do it justice, though, they are on the look out for sponsors and supporters willing to help the project reach its full potential. “What we realised is that it is such a big, independent project that it needs a dedicated co-ordinator to run it with the children and young people,” said Nicola, adding that she hoped the next project would feature more content, such as regular blogs and vlogs from the contributors. All of this is dependent on securing the funding to recruit a project coordinator — something Nicola and Rebecca are keen to do as soon as possible. This was brought into sharp focus on the first edition when one contributor, 22-year-old Charlotte, died before she had a chance to see the front page she had designed be published. “We are looking for companies and people to get involved – it’s about giving a young person who may have other limited opportunities to access this kind of tangible work experience and mentorship,” said Nicola. Two companies have already signed up, SOBI and LifeArc, but there are still opportunities to get involved, whether that’s offering sponsorship, mentorship or training. ”It was wonderful to see the brilliant 2017/2018 Rare Youth issue of the magazine, and to hear from the vital and vibrant young voices who make up the community,” said Neil Dugdale, general manager, of SOBI UK and Republic of Ireland. He added that the company was proud to sponsor the “great initiative” and to support the rare disease community. Dr Catriona Crombie, LifeArc’s Philanthropic Fund Manager echoed his sentiments. “While LifeArc tends to be involved early in the process of developing new drugs for patients, a collaboration like this reminds us why we do what we do and allows us to better understand the needs of those affected by a rare disease,” she said. Ultimately, the project is about empowerment, explained Nicola, whose seven-year-old son, Eddison has xeroderma pigmentosum , an ultra-rare genetic condition that causes an extreme sensitivity to ultraviolet radiation. “It’s about supporting the next generation of advocates. Because, in the future, they will be the ones running the charities and driving the research,” said Nicola. In the coming weeks, pharmaphorum will be publishing more about the Rare Youth Project, including an interview with 15-year-old political correspondent, Cameron. To find out more about getting involved, email Rebecca on rstewart@nrgcollective.co.uk or visit the website Rare Revolution Magazine.